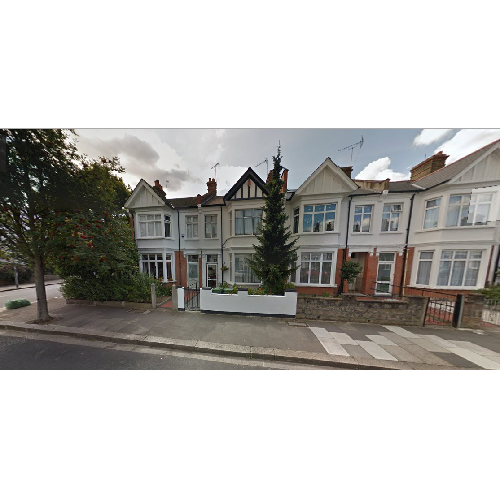 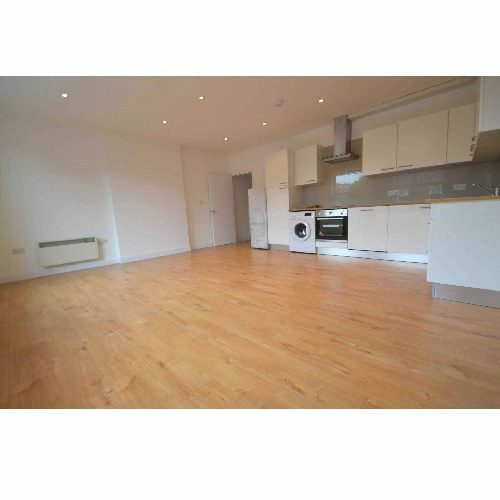 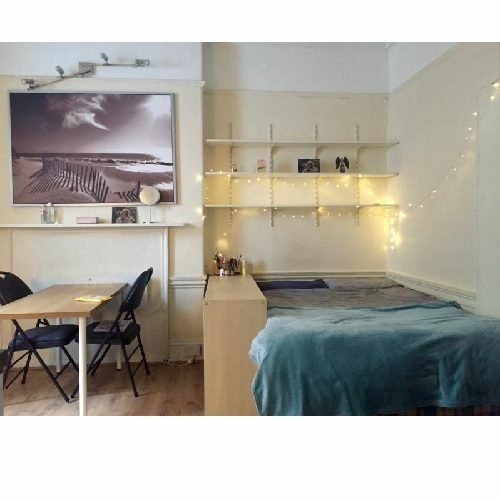 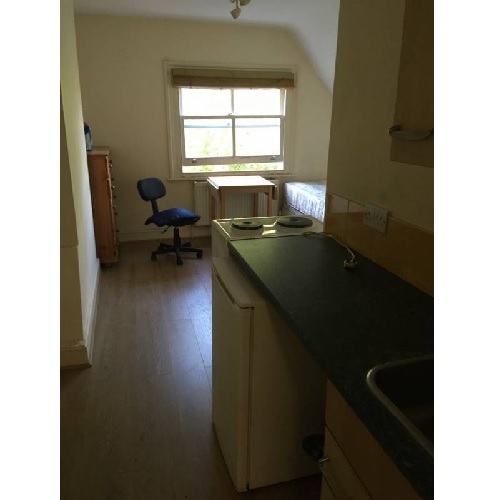 A cute single studio flat situated on the top floor of a Victorian House presented in very good condition and fully furnished. 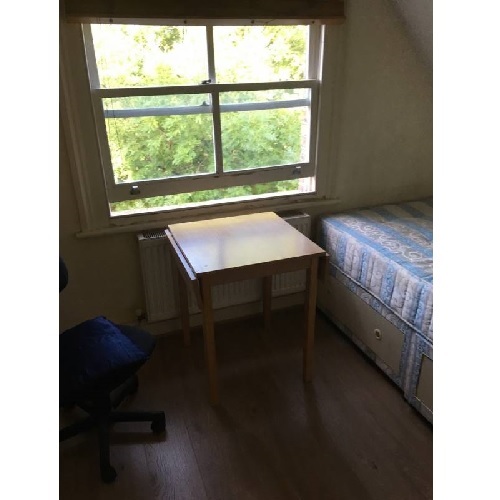 Studio room with a large sash window providing lots of natural light and fully furnished with a bed, wardrobe, chest of drawers, desk, chair and shelving. 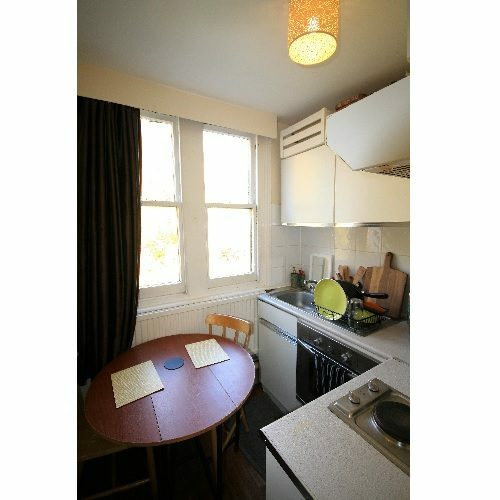 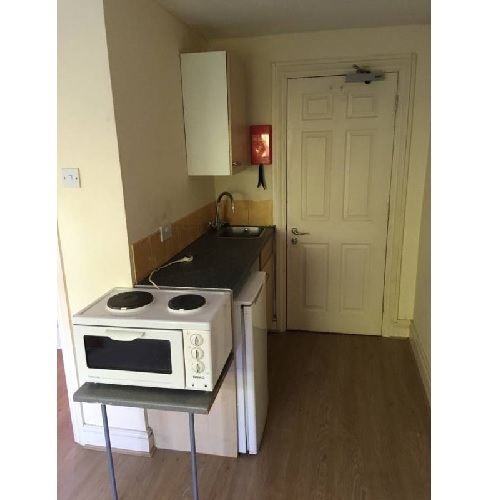 Open plan kitchen with a counter top hob, electric oven, fridge with freezer compartment, a range of wall and base units. 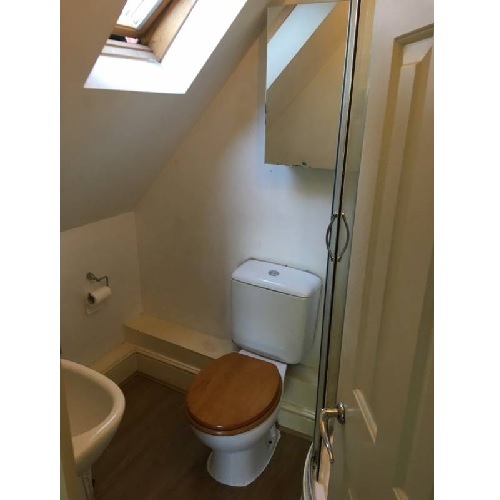 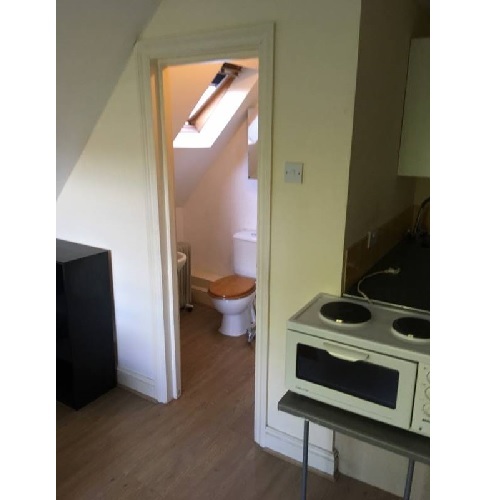 Separate private newly decorated bathroom with shower, WC & wash basin.